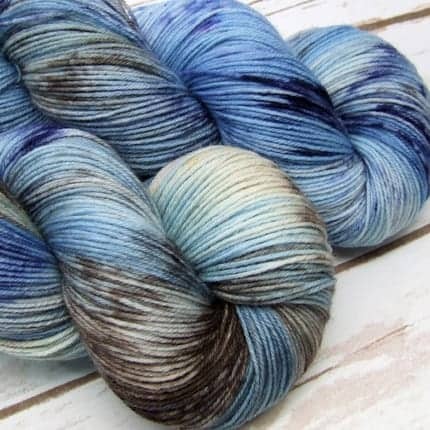 The Voyage Through Time Outlander-inspired color sold out very quickly when I had initially posted it. This time I am offering up the color as a preorder on the website until 8 p.m. Saturday Sept. 23, 2017. The color will be available to order on my Snug or Super Sparkle bases and is scheduled to ship in late October/early November. Artisans and designers will post here when they’re about to stock their online stores with new goodies, if they’re having a special sale, opening sign-ups for yarn clubs or releasing a pattern. Visit the Indie Untangled blog every Friday, where we’ll list the shop updates, sales and events coming up that week. Sign up for the newsletter to have that list sent straight to your inbox. The Mouse House Fiber Co.
Love what you see here? Become an Indie Untangled insider to get a weekly “stashing list” and be ready to pounce on the latest skeins.